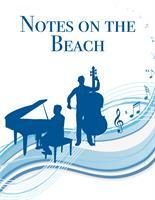 Notes on the Beach is a piano and bass music duo which plays standards, swing, jazz, show tunes, and contemporary music for private parties and various special events. 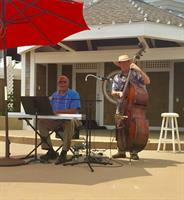 Jeff Cooper and Glenn Pearson have been friends and professional musicians for over 40 years.? 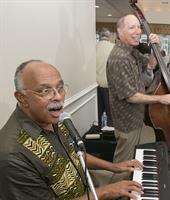 After meeting in high school they formed a band and later attended Peabody Conservatory. 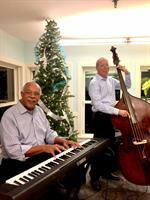 Jeff focused on musical theater while Glenn concentrated on piano performance. They often return to their true passion – engaging audiences with their talent, wit, and style to share their love for iconic American music. 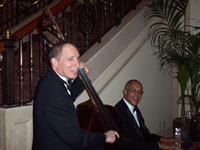 You’ve heard Jeff playing bass at the Kennedy Center, National and Ford’s theaters, Wolf Trap, and on Broadway, most recently for Evita with Ricky Martin while for over 40 years, Glenn has performed at the White House, Vice President's residence, Kennedy Center, Smithsonian, as well as countless embassies, galleries, and private homes.